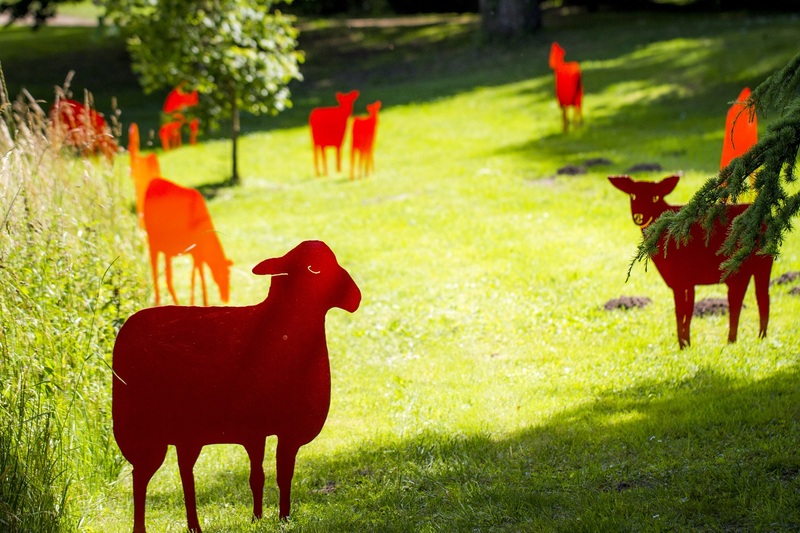 Le Lude’s garden is ranked a « remarkable garden » by the French Ministry of Culture. During the XVIIth century, the old fortress surrounded by its wide dry moat gave way to an elegant terrace edged by a stone balustrade of over 200 metres long, while a ‘suspended’ garden was created in the 18th century on the foundations of the fortress. 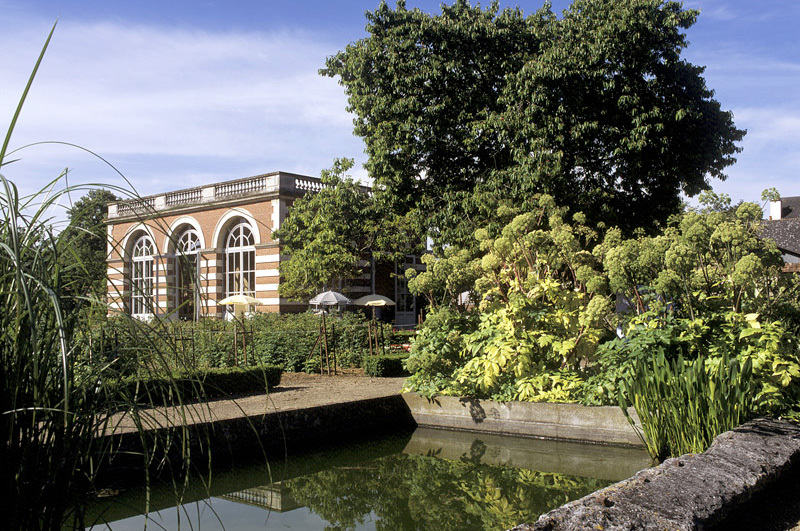 The lower gardens, which run along the riverbank, were originally a vegetable garden. 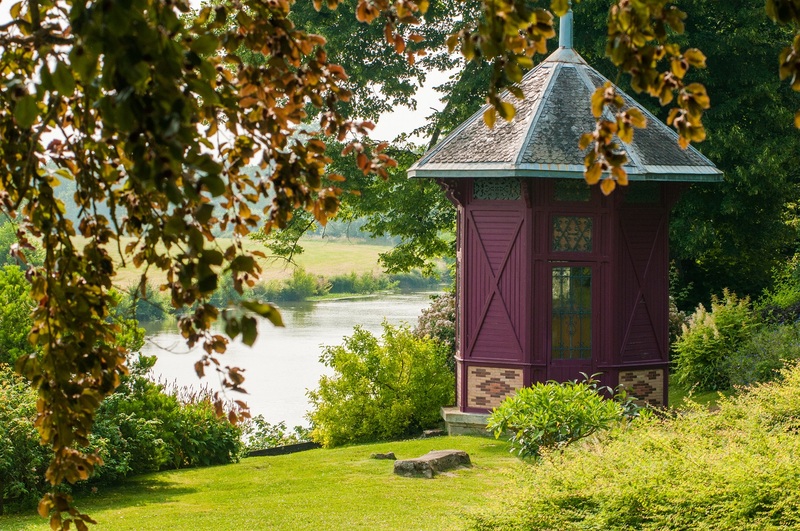 This was moved further away to leave space for romantic French-style gardens designed by Edouard André, the renowned landscaper, in the XIXth century. Parterres of flowers and ponds succeed each other, while an assortment of scented flowering shrubs (chimonanthus, lilac, philadelphus, calycanthus…) form a long border along the wall. At the same period, the great fields located on the opposite bank were planted as a landscape park. The spring garden provides the link to the woodland park. Spring-flowering perennials (hellebore, euphorbia, geranium) surround rockery features built in the 19th century such as a kiosk, grotto and landing stage. 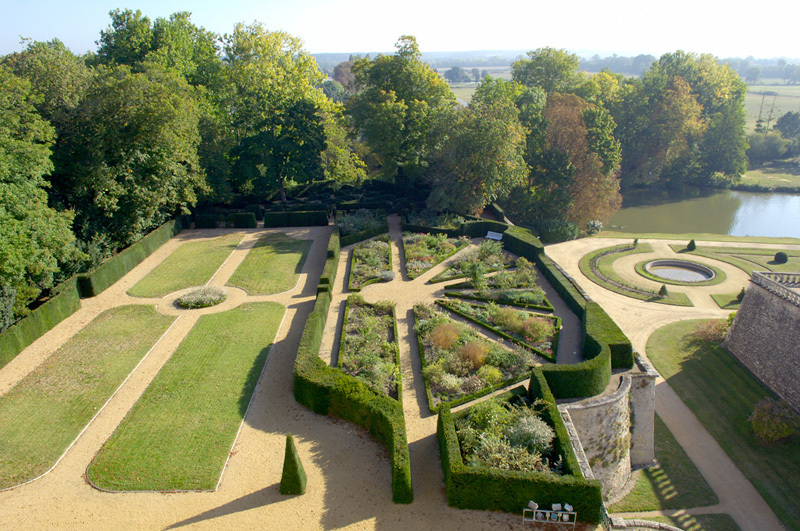 The « Eperon garden », designed in 1997 by Count Augustin d’Ursel, spreads out in front of the Louis XVI façade. The yew hedges map out the architecture of the fortress and enclose a maze and a rose garden. 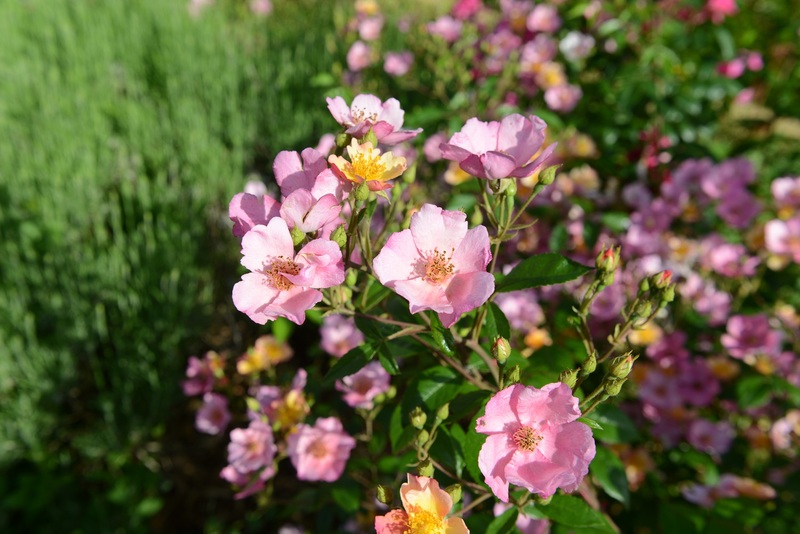 There, one finds a collection of Chinese, tea and hybrid tea roses such as ‘Mutabilis’, ‘Sanguinea’, ‘Old Blush’, Le Vesuve’ and ‘Irene Watts’. 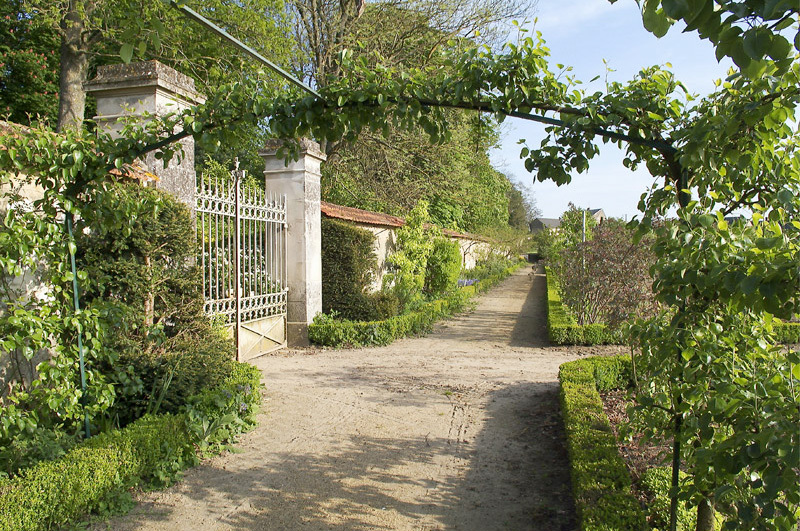 The 2-hectare vegetable garden was designed by Edouard André in 1880. It includes several greenhouses, an orangery and beds of seedlings, and is still in use today. Rows of fruit trees, flowers and rare vegetables fill its three terraces. 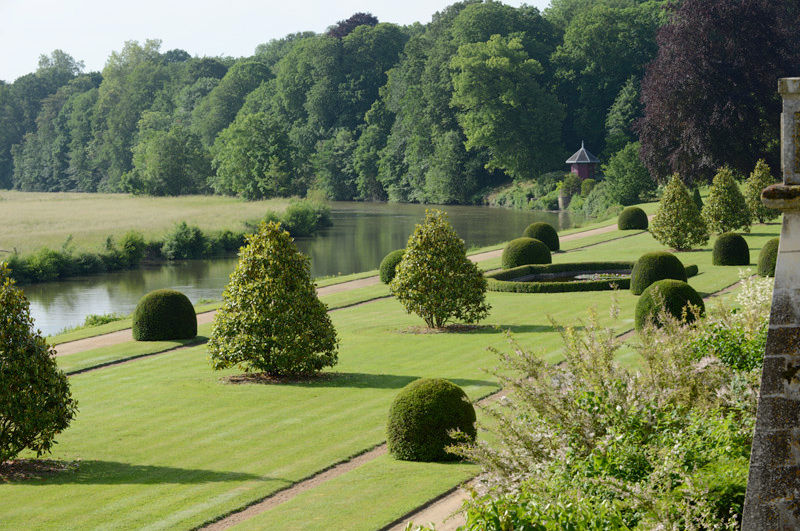 This private garden is open for groups on request, and for a weekend each month in season. 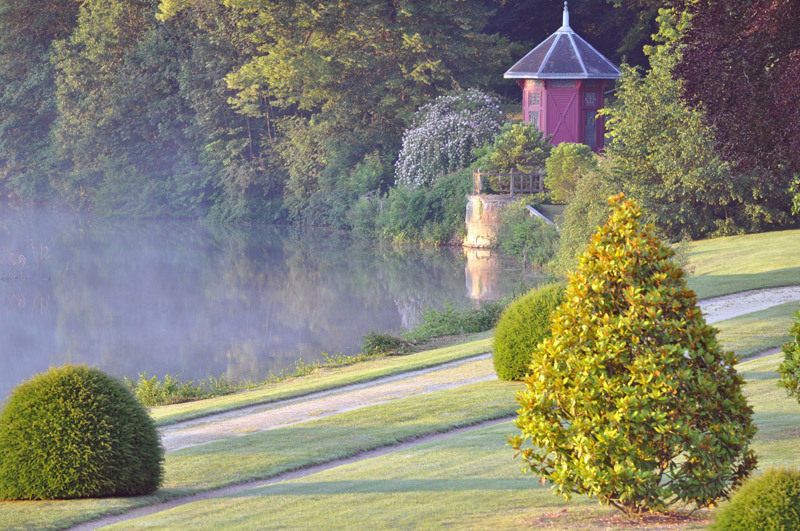 Every year since 1994, on the first weekend of June, a Garden festival takes place in Le Lude’s gardens, which welcoms the best nurseries of Western France, and hosts the “Prix Pierre-Joseph Redouté”, which is awarded to the author of the best garden book of the year.